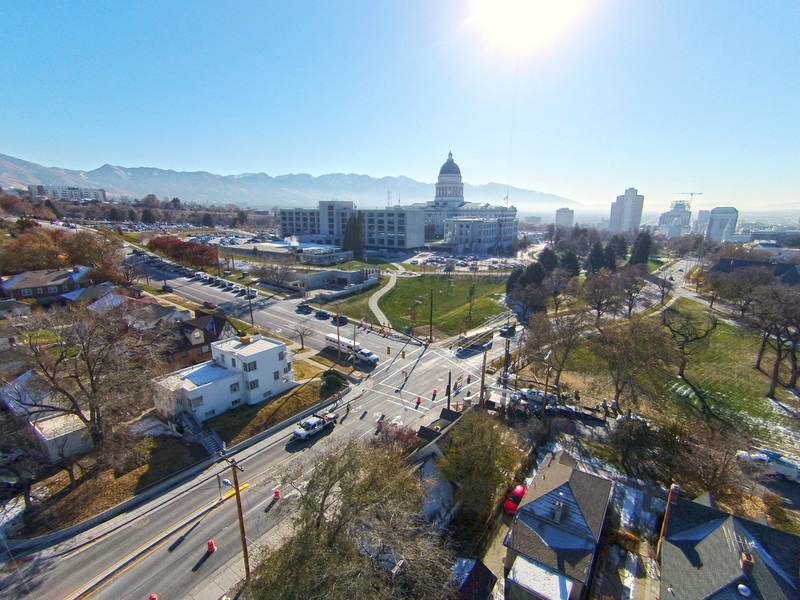 An essentially simple 2-mile rotomill and overlay design in the area around the Utah State Capitol evolved into a project with a growing scope that included several interested parties, each with its own recommendations on how to beautify and improve the streets around the Capitol. PEC was originally selected by the Utah Department of Transportation (UDOT) in 2013 to complete the design of the rotomill and overlay of SR-186 from Beck Street to North Temple and the roads surrounding Capitol Hill. PEC’s initial assessment of the project indicated that more than 50 pedestrian access ramps would need to be fixed as part of the project. Due to these unforeseen costs, UDOT put the project on hold until additional funds were made available to meet all of the project needs. ​In 2014, UDOT reintroduced the Capitol project to PEC with additional improvements, including a signal at the intersection of Columbus Street (SR-186) and 500 North. The contract modification that followed specified the need for a traffic signal that would improve traffic operations, minimize right-of-way impacts, and match the aesthetics of the neighborhood. The narrow roads, historical homes, and community park near this intersection made this assignment uniquely challenging. “PEC has successfully designed many projects with similar right-of-way challenges. We used this experience combined with elements of context sensitive solutions and practical design to design a traffic signal and roadway that met the needs of the traveling public and the local community,” said PEC Project Manager Ryan Nuesmeyer. PEC’s design widened the north leg of the road by removing the park strips along the roadway. To maintain pedestrian safety and a walkable neighborhood, PEC’s design widened the sidewalk 50 percent to provide an increased buffer between pedestrians and vehicles. This approach allowed the back of the sidewalks to be maintained in their existing locations. To mitigate potential right-of-way acquisitions due to vertical changes in the sidewalk, a retaining wall will be built along the property on the east side of SR-186 north of 500 North, and the stairs leading to the home will be reconstructed. Since some Rocky Mountain Power lines will be impacted by the road widening, the lines will be relocated from the east to the west side of Columbus Street. The relocation, which will occur prior to construction, will require some power outages. However, the Capitol building will be able to maintain power during this time by using secondary power lines. The reconstruction of the intersection will also allow for the placement of a new drainage system that will prevent water from jumping the catch basin at the base of Columbus Street and streaming across Victory Road. The signal poles and mast arms, which will be placed at the intersection of Columbus Street and 500 North, have been specially ordered to match the historic character of the area and replicate the other decorative signals on SR-186 and 300 North. 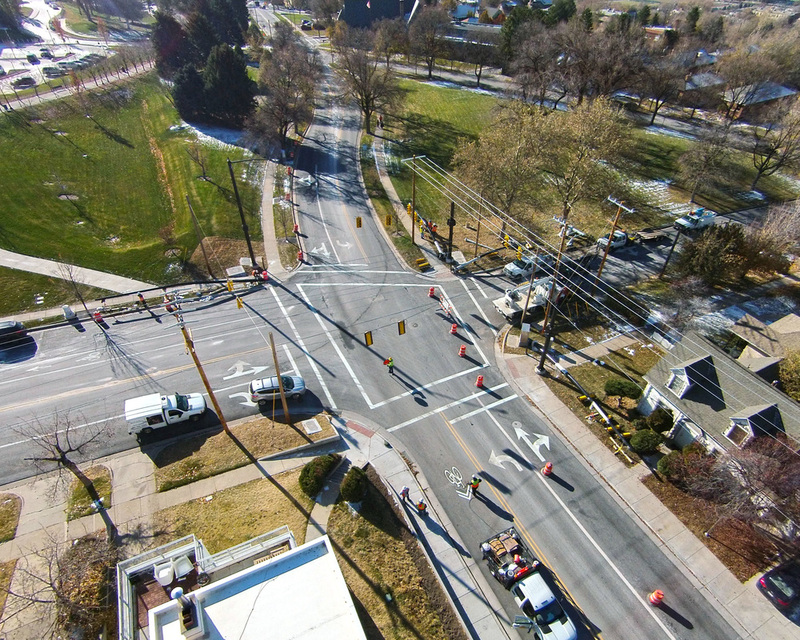 As PEC designed the intersection, Salt Lake City (City) approached UDOT about including the City’s planned safety improvements along East Capitol into UDOT’s road reconstruction project. The City also provided funds for the improvements along the City-owned street. To incorporate the needs and wants of the City, PEC’s design included curb extensions near the southeast corner of Capitol Hill, planted medians in the roadway, and a crosswalk connecting the parking stalls along the east side of East Capitol to the Grand Entrance of the Capitol building. The design will also include a bulbout on the east side of East Capitol Street. This bulbout will shorten the distance of the crosswalk and better delineate the pedestrian crossing. “The combination of the crosswalk and bulbout design will improve pedestrian safety and traffic operations at Capitol Hill,” Nuesmeyer said. As the design modification came in from Salt Lake City, the Utah State Capitol Preservation Board expressed another concern about the parking on Capitol Hill. Members of the board wanted to increase the number of parking stalls along East Capitol and 500 North by eliminating sections of red curb and changing the parallel parking stalls to angled stalls. The board also asked for additional lighting to reduce petty crime such as car burglaries in the area. The wide roads in the area allowed PEC to design the parking changes without impacting the curb and gutter along East Capitol and 500 North and create an additional 20 stalls. 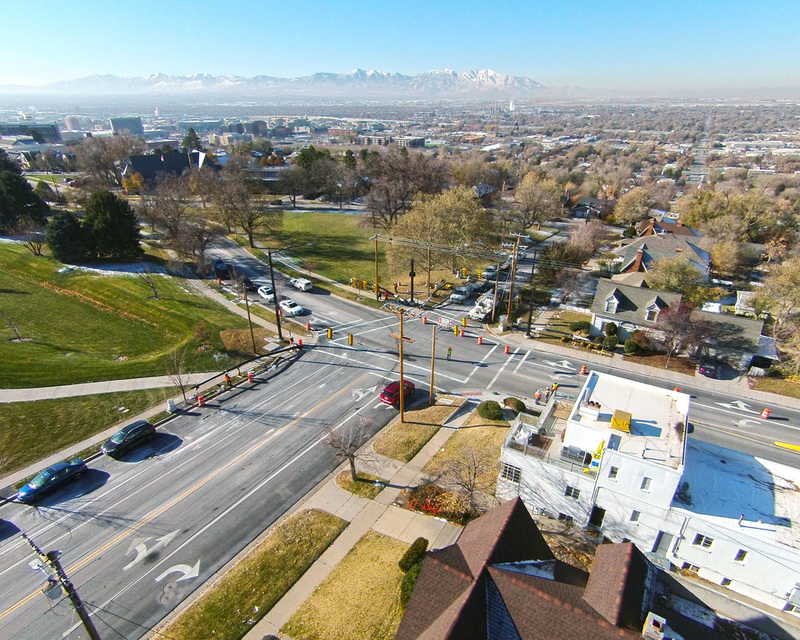 PEC completed the design of the SR 186; Beck Street to North Temple Project in June 2015, successfully meeting the needs of UDOT, the Utah State Capitol Preservation Board, and Salt Lake City and make sure that all parties’ interests were protected.